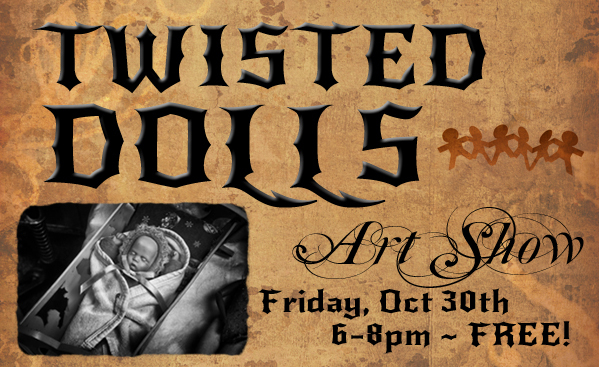 FREE this coming Friday October 30th from 6-8pm – the BVAA Twisted Dolls Art Show! It’s at the Worcester PopUp @ 20 Franklin St Worcester MA. Share the news and come on out to start your Halloween weekend off right!